"1 x 5.25" to 3.5" 2.5" SSD HDD Hard Drive Tray. 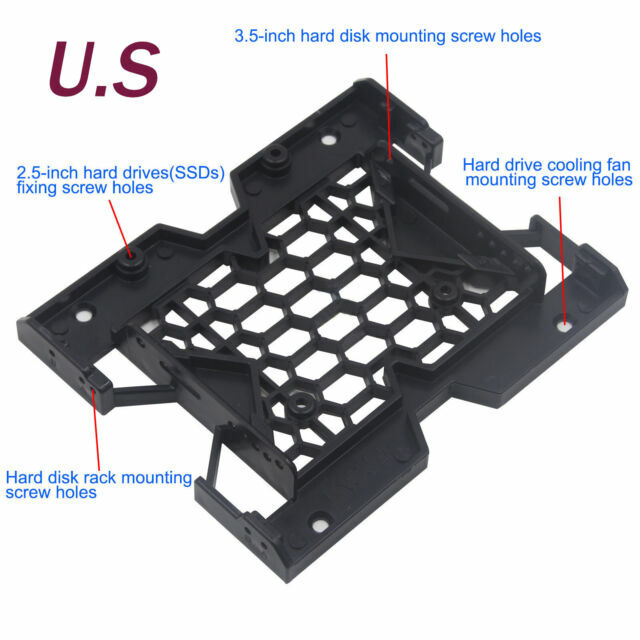 Hard drive cooling fan mounting screw holes. Hard disk rack mounting screw holes. Effectively enhance the machine speed and extend drive life. when you install a fan, it will account more than a optical drive."